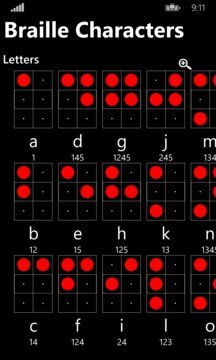 Learn Braille in a fun and interactive manner. Whether you are learning for fun or you struggle to read standard print this app will bring you up to speed on the basics of Unified English Braille (UEB). Browse through the key Braille characters and then test your new found knowledge with one of the fun quizzes; input your answers by tapping in the Braille, multiple choice or entering the correct character. 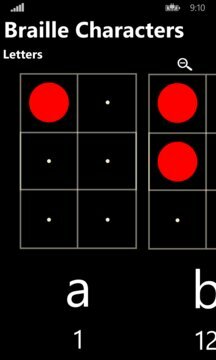 I am severely sight impaired due to a condition called Retinitis Pigmentosa (RP) and wanted to learn Braille so I could read again without the need for high contrast monitors or bright lights. I have some remaining vision so this app is great for helping me memorise the Braille characters before I start touch learning. I hope you enjoy using this app as much as I have.